Do I have a great idea for you! 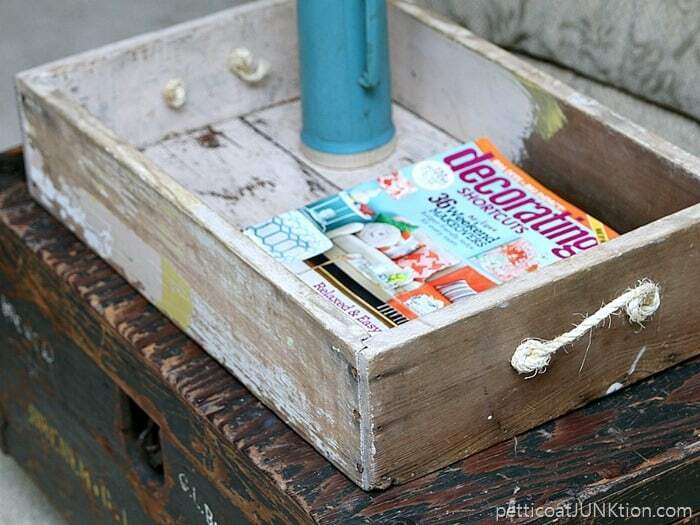 Adding inexpensive sisal rope handles to drawers, crates, wood boxes, anything, makes for a unique look. 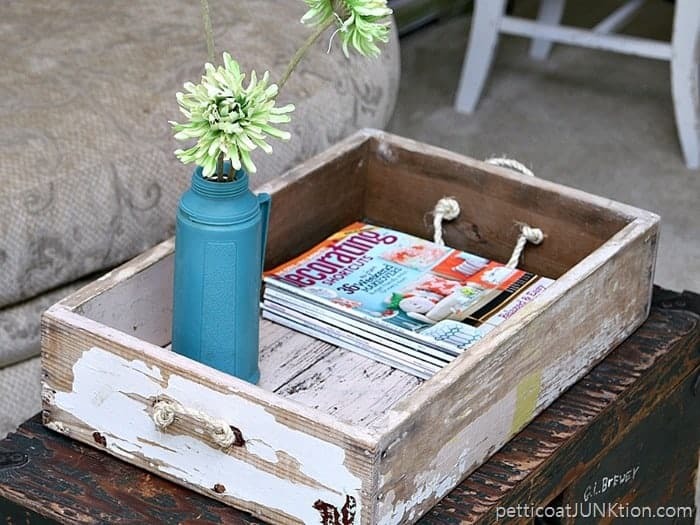 See how the sisal rope handles add to the look of this plain old wood box? The chippy box has been hanging out in our shed (not the workshop). It was full of bits and pieces of reclaimed wood, spindles, odds and ends, etc. I emptied all that stuff into a cardboard box and started working on the wood box. The chippy paint was nice so I just sanded the paint that was loose and flaking off. 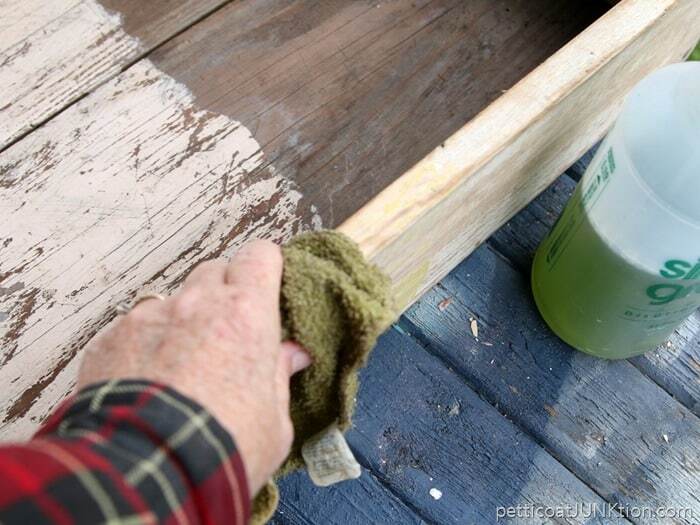 Then I cleaned the box with Simple Green. One end of the box had holes where there was a drawer handle in the past. 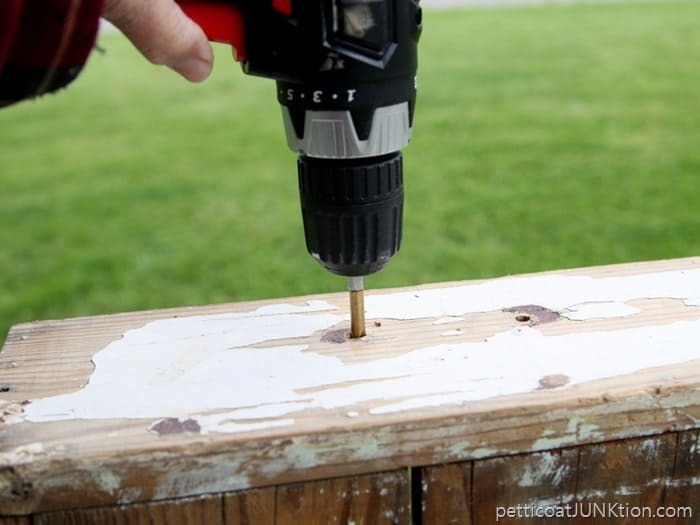 I drilled the holes a little bigger then drilled two holes in the opposite end of the box too. The sisal rope is left over from my seashell basket project. 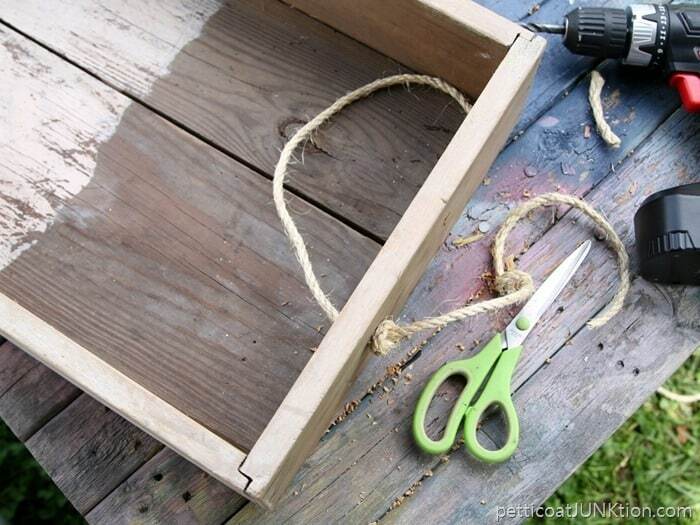 I also used the rope to make handles for a nautical style chest. I had just enough left to add handles to my chippy wood box. The box is darn heavy too. I’m not sure what type wood it is….but it’s solid. 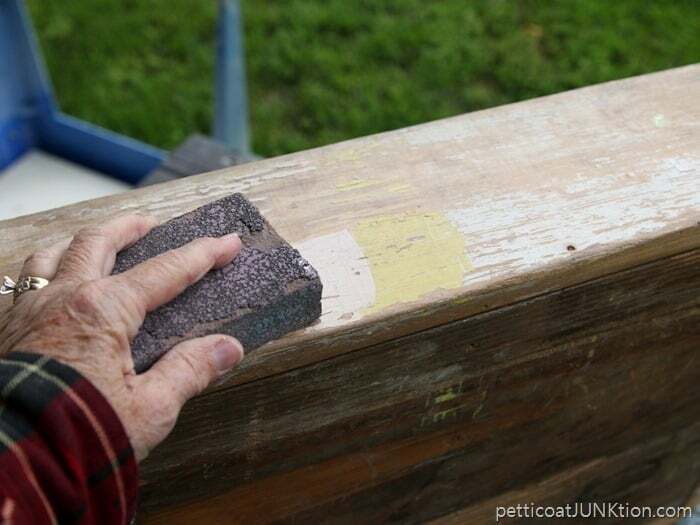 The last detail for the project was wax which keeps the rest of that paint from chipping off and also adds a little patina. I used Annie Sloan clear wax. 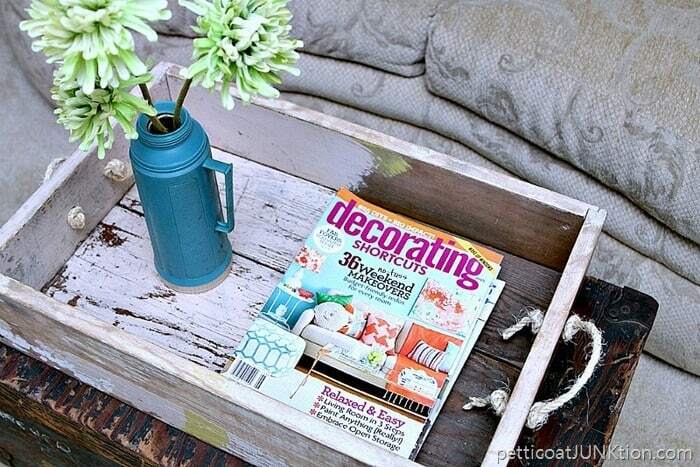 I added magazines and my latest turquoise find to the tray and set it on the coffee table (World War II footlocker on wheels) in the living room. The inside of the box was only half painted and I started to repaint the whole inside of the box. 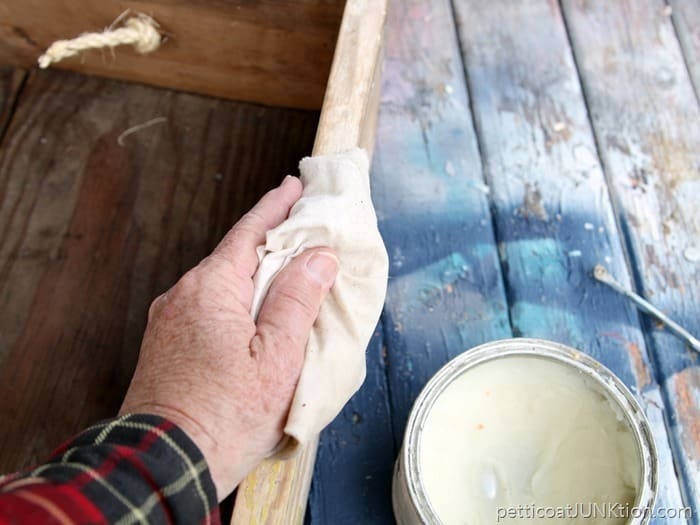 I was afraid the new paint would take away from the worn look of the box….so no new paint. This was a really simple project. 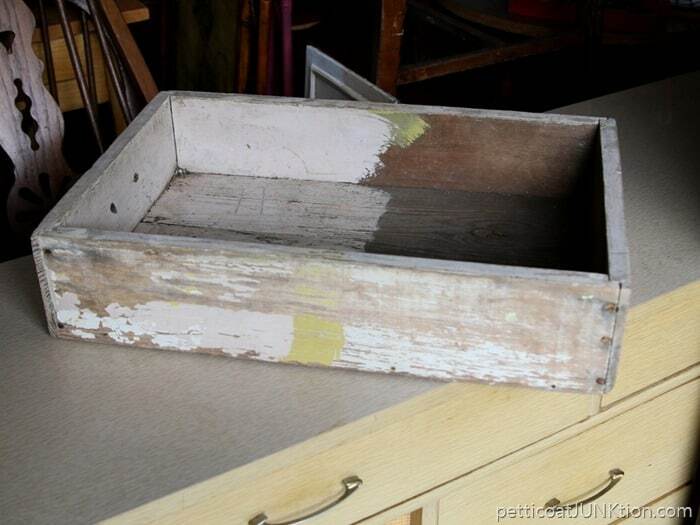 I see small boxes and trays at the thrift stores all the time that would be prime candidates for a similar project. Are you working on any projects? I’ll be back Wednesday for Thrift Store Décor day. My thrift store project is really cute….and colorful. No post tomorrow! See you Wednesday. Partying at Funky Junk Interiors. 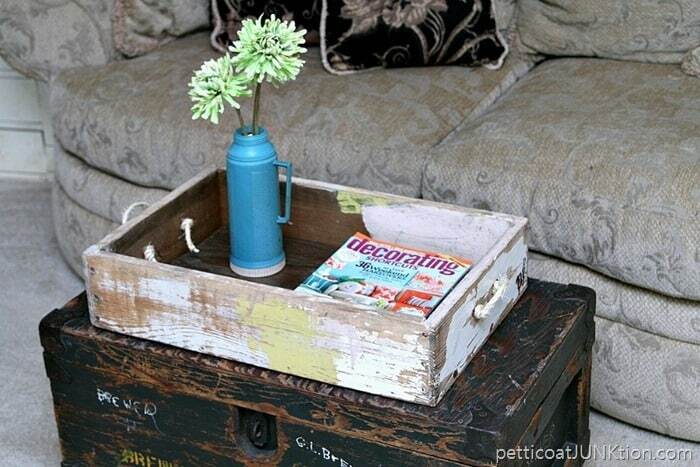 This would look awesome on my coffee table! Great project! Cathy, what do you recommend before painting a round dining table that has been in a smoker’s home? Trying to remove the sticky. This is great looking and super easy! The best of both ideas! 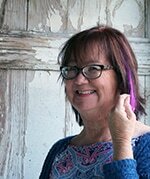 I have several I’m going to work on now for a beachy look..thanks Kathy! Great idea and love the chippy goodness of the box! 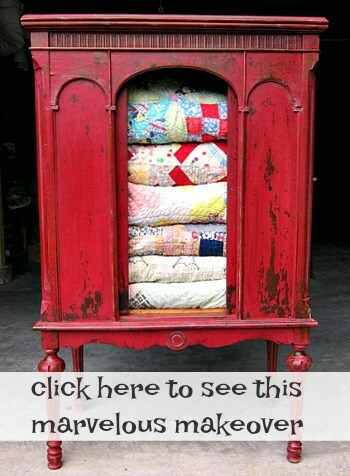 Old dresser drawers would be good for this make over too!